The Minister for Transport, Edwina Hart, marked the first day of the WelshGovernment‘s new £15million mytravelpass discounted bus travel scheme for youngpeople by handing out the first passes to youngsters at Swansea Bus Stationtoday (Tuesday, 1st September). 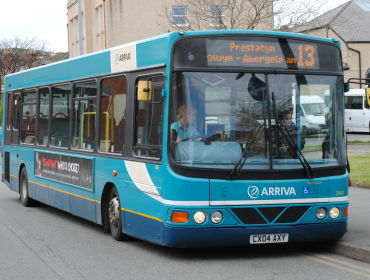 Funded by the Welsh Government and developed in partnership with thebus industry and local authorities, the new mytravelpass will entitle youngpeople aged 16 – 18 to a third off bus fare prices anywhere in Wales. The discount is operational from September 1st and is open to all 110,000residents aged 16-18 across Wales. Among the first to receive the discounttravel passes were students from Cardiff High School who had participated inthe campaign to promote the cards online and on buses. 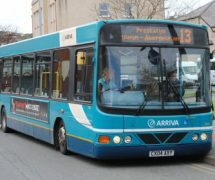 Related Article: Home To School Transport – Have Your Say!